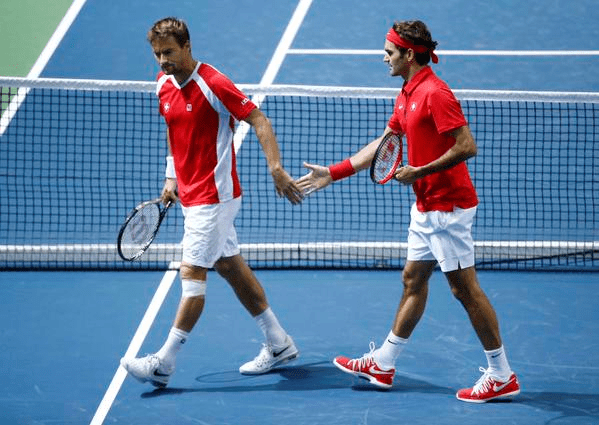 Thiemo de Bakker and Matwe Middelkoop upset Roger Federer and Marco Chiudinelli in Saturday’s doubles as the Netherlands cut Switzerland’s lead down to 2-1 in their Davis Cup playoff. 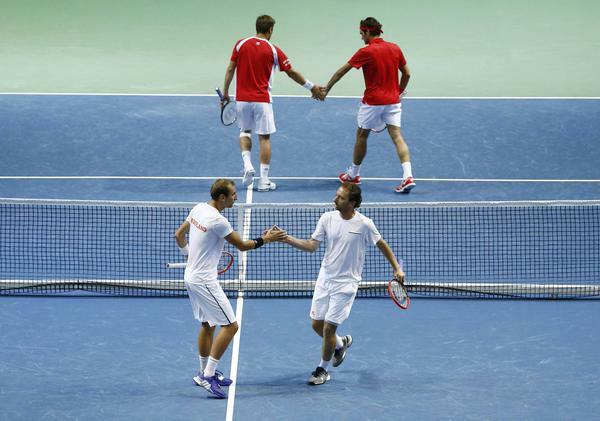 The Dutchmen prevailed in five sets, 7-6 (7) 4-6 4-6 6-4 6-1, coming back from a two sets to one deficit. 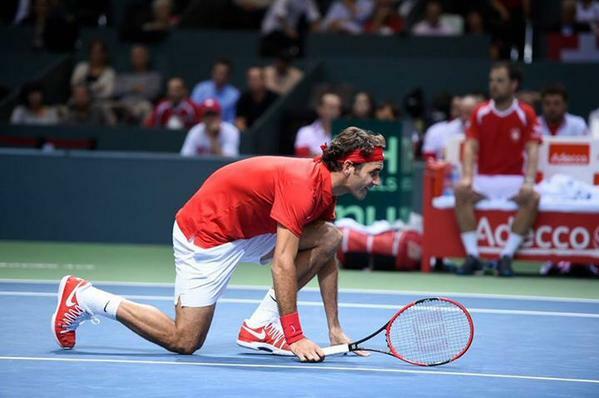 Federer will seek to clinch the tie for Switzerland in Sunday’s reverse singles, facing Thiemo de Bakker in the first match. Wawrinka will await facing Huta Galung if a live, fifth match is needed.